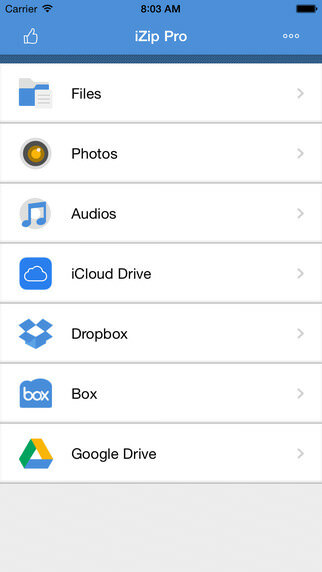 Application for ZIP file management on iPhone/iPad! Most secure and fast Zip utility for business and professional users. Compress songs from iTunes Music. Open and view many document types: DOC, Excel, PPT, PDF, TXT, RTF, Pages, JPG, GIF, PNG, videos, etc.. Send and download files to/from Dropbox, Box, and GoogleDrive. If you need more information please contact the developers of iZip (ComcSoft), or check out their product website.